We’d love your help. Let us know what’s wrong with this preview of Tattoos on the Heart by Gregory Boyle. Father Gregory Boyle’s sparkling parables about kinship and the sacredness of life are drawn from twenty years working with gangs in LA. How do you fight despair and learn to meet the world with a loving heart? How do you overcome shame? Stay faithful in spite of failure? No matter where people live or what their circumstances may be, everyone needs boundless, restorative l Father Gregory Boyle’s sparkling parables about kinship and the sacredness of life are drawn from twenty years working with gangs in LA. As a pastor working in a neighborhood with the highest concentration of murderous gang activity in Los Angeles, Gregory Boyle created an organization to provide jobs, job training, and encouragement so that young people could work together and learn the mutual respect that comes from collaboration. 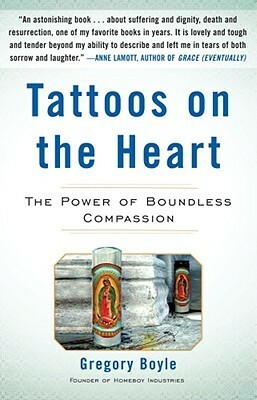 Tattoos on the Heart is a breathtaking series of parables distilled from his twenty years in the barrio. Arranged by theme and filled with sparkling humor and glowing generosity, these essays offer a stirring look at how full our lives could be if we could find the joy in loving others and in being loved unconditionally. From giant, tattooed Cesar, shopping at JCPenney fresh out of prison, we learn how to feel worthy of God’s love. From ten-year-old Lula we learn the importance of being known and acknowledged. From Pedro we understand the kind of patience necessary to rescue someone from the darkness. In each chapter we benefit from Boyle’s wonderful, hard-earned wisdom. Inspired by faith but applicable to anyone trying to be good, these personal, unflinching stories are full of surprising revelations and observations of the community in which Boyle works and of the many lives he has helped save. To ask other readers questions about Tattoos on the Heart, please sign up. Is there any profanity in the book? David Yes, there is a good bit of profanity but not particularly offensive. There is no way to sanitize this story if faithfully re-told. i can't find the/a place to write a review of this book?? Elizabeth Beeton I can't either, and I want to because I didn't like it. This book makes me want to love better. PERIOD. I have never had such a clear picture of how God loves even me... especially me. Everyone should read this book and buy 10 copies to give away. All proceeds go to Homeboy Industries. It is interesting to me that if you read about people who work with the most wounded of human beings, they tend to have a very expansive view of God and a very inclusive Christian theology. Fr. Greg Boyle works with Latino gangs in the public housing projects of LA. (I could have said "gang-infested" projects but Fr. Boyle makes a point in the book about language which brings shame to "life and love challenged" kids- I mean what do you think of when you say something is "infested"?) Instead he It is interesting to me that if you read about people who work with the most wounded of human beings, they tend to have a very expansive view of God and a very inclusive Christian theology. Fr. Greg Boyle works with Latino gangs in the public housing projects of LA. (I could have said "gang-infested" projects but Fr. Boyle makes a point in the book about language which brings shame to "life and love challenged" kids- I mean what do you think of when you say something is "infested"?) Instead he says, "Here is what we seek: a compassion that can stand in awe at what the poor have to carry rather than stand in judgment of how they carry it." The book is divided into chapters that stress a theological point and then he illustrates it with stories from his 20 years as director of Homeboy Industries, the ministry he started to help willing kids get a job and get out of the gang life. ("parables inspired by faith") Unfortunately, many of the stories end in funerals since the sense of worthlessness among these "throw-away" kids is very deep. What I liked is that he didn't go into blame. Blame leads to shame which excludes the possibility of grace and hope. One minor complaint is how often he uses latino language which at first was educational, but later began to bother me. I'd have to stop the sentence flow and translate ( not being good at languages made it a problem for me) and I don't recall any stories from the last 10 years. Perhaps it takes time to reflect but most of the book takes place 10-20 years ago. And a caviat -The reasons given for showing compassion are wrapped in Judeo-Christian theology. Compassion and love, however, are not unique to Christianity. "Standing with" the poor is the heart of any spirituality or religion expressed in hundreds of versions of the "golden rule". That does not change the impact of the wisdom in this book. For many Christians, it will open your heart to realize that your God has been too small. Since then I just try to pay attention. When goodness appears in our daily life, what happens? When evil appears, what happens? How to deal with evil? How to consider at the bad things people do? How to look at the people who do these bad things? 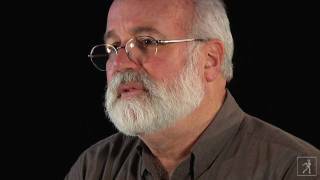 Father Boyle gives us his answers to these questions. He’s interesting, and he seems to be able to transform bad attitudes into good ones. I should mention, first, for the benefit of anyone who doesn't live in Los Angeles or follow closely the arena of gang prevention, that Father Greg Boyle is the founder of Homeboy Industries, the most well-known gang prevention program in the gang capital of the US, Los Angeles. The organization's slogan is "Nothing stops a bullet like a job," and Father Boyle (or "G" as he is known) has made it his vocation to hire convicted felons straight out of jail and employ them in various Homeboy enterprises. They run a bakery, a screen-printing factory, they wash cars, they sell merchandise. The homies, they teach me things. For example, they're teaching me how to text. I was driving a homie home, and he got a text on his phone. "What does it say?" I asked him. He said, its Louie. He says they've got him locked up in County holding facilities. He says they're charging him with being the ugliest vato in the universe. He says, "You need to come down here and show them they've got the wrong guy!" Father Greg let everybody at the Oxy commencement laugh. Then he said that right after this went down he appreciated that these two guys used to be members of rival gangs. They used to shoot bullets at each other. Now they shoot texts at each other. He ended by repeating what he had opened with. We are sent to create a community of kinship, such that God might recognize it. I don't know who God is, but this statement really stayed with me. It put all the infighting and disagreements in the bike advocacy community in LA in perspective. If rival gangs can get together and bake bread and hold down jobs, and even rib each other via text, surely LA's bike activists can put any hurts behind and aim for a higher purpose. This is one of the only books I read during my first year of graduate school. I found time to read it because it forced me to - I couldn't put it down. Like an episode of This American Life, the book wanders all over the globe, from wacky circumstances to the improbable and seemingly miraculous. Fr. Boyle connects it all, somehow, makes it all attest to the immense possibility in this world, to our essential connectedness, our ineffable grace, our clumsy humanity... to deeper lessons than I can pretend to regurgitate in this review. I will need to revisit this book many times. All of us, especially those of us who are trying to fire up social movements or make change, need spiritual leaders. I trust Father Boyle (a fact all the more amazing because of my distrust of religious institutions, especially patriarchal, homophobic ones). I trust him because of his overflowing armful of stories and the way his narration focuses on the actions of all the people around him, in all their shapes and sizes and backgrounds and quirks and graces and flaws. We must understand this kind of principled humility if we are to do any worthwhile work in this world. I have always been a little left of center; deeply spiritual, not terribly religious; a modern day hunter and gatherer of theological principles and wisdom. I imagine something akin to a recycling center inside my head. Everything separated and compartmentalized, waiting to be processed and then smooshed into something new; something that I can use...that `fits' me. In this new creation bits and pieces of many great spiritual traditions are found and the unused portions are released, like mist i I have always been a little left of center; deeply spiritual, not terribly religious; a modern day hunter and gatherer of theological principles and wisdom. I imagine something akin to a recycling center inside my head. Everything separated and compartmentalized, waiting to be processed and then smooshed into something new; something that I can use...that `fits' me. In this new creation bits and pieces of many great spiritual traditions are found and the unused portions are released, like mist into the ethos, to be used by others. For me, this works. 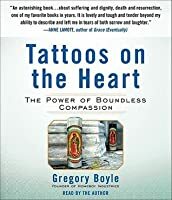 That being said, I have just finished, Tattoos On The Heart, by Jesuit Priest Gregory Boyle, a small-yet significant book with great impact; a book, that incorporates bits and pieces from many great spiritual traditions; and therefore...works. In its simplest definition, it is a series of parables; succinct stories, which illustrates one or more instructive principles. Analogies, which you can reduce, reuse and recycle. From Mother Teresa to Rumi to the `homies in the hood'; the wisdom, the lessons, the parables are relayed with such a raw and stark truth, that we cannot help but consider, that we are here for the sake of others; that are souls are connected through some cosmic bond. Tattoos On The Heart is about Homeboy Industries, a gang intervention program, located in the gang capital of the world; Boyle Heights, Los Angeles, California. But it is not a story about gangs. It is written by a Jesuit Priest, Gregory Boyle, who has traveled to many places in the world, as a missionary; but it is not a story about religion. It has received the California Peace Prize and numerous humanitarian awards ; but it is not a story about rewards for worthy behavior. What it is about is compassion, learning, growing, falling, stumbling, getting up, moving on and moving beyond. It is about hope. From 10 year old Lula, we learn about the importance of hearing our name, of being known. From Matteo and Julian, we learn to dissolve the illusion of separateness. From Fabian we learn that by latching onto the singularity of love, it doesn't melt who we are, but who we are not. Story after inspiring story we learn, we grow, we stumble, we fall, we get up, we move on-together. I think I cried more listening to this book than any book - and that's saying a lot. I think I laughed more reading this book than most books I have read. Father Gregory Boyle, a Jesuit priest and founder of Homeboy Industries (whose motto is "Nothing stops a bullet like a job") in Los Angeles, has dedicated most of his life to working with gang members in the projects in L.A. He is my new hero. His life is dedicated to compassion and inclusion and joy, and his God touches my heart like no other I think I cried more listening to this book than any book - and that's saying a lot. I think I laughed more reading this book than most books I have read. Father Gregory Boyle, a Jesuit priest and founder of Homeboy Industries (whose motto is "Nothing stops a bullet like a job") in Los Angeles, has dedicated most of his life to working with gang members in the projects in L.A. He is my new hero. His life is dedicated to compassion and inclusion and joy, and his God touches my heart like no other. His courage and steadfastness in the face of heartbreaking death as well as heartwarming transformation is truly inspirational. Through his "parables" we meet many young men and women that become less "scary" as we see them laugh and cry and struggle. And Father G introduces us to the guiding principles of his life and we see how he lives them. As I listened, I found myself thinking I had to remember something he said, but then along came another, and another, and another something to remember. This book makes me want expand my compassion and inspires me to be a better person. "Close both eyes, see with the other one. Then we are no longer saddled by the burden of our persistent judgments, our ceaseless withholding, our constant exclusion. Our sphere has widened and we find ourselves quite unexpectedly in a new expansive location, in a place of endless acceptance and infinite love." "If there is a fundamental challenge within these stories, it is simply to change our lurking suspicion that some lives matter less than other lives." "Here is what we seek: a compassion that can stand in awe of what the poor have to carry rather than stand in judgment at how they carry it." I read Tattoos on the Heart because the title caught my eye. Regina King, the star of Southland, was interviewed in O Magazine in the March issue, and was asked what was the best book she had read recently. She named this one.So I looked it up on Amazon and loaded it on my kindle. I was on vacation at the time and I read it in less than 2 days. I once read somewhere that compassion is a muscle that gets stronger with use. Fr. G is what we are all called to be, humble, caring, loving, and able to I read Tattoos on the Heart because the title caught my eye. Regina King, the star of Southland, was interviewed in O Magazine in the March issue, and was asked what was the best book she had read recently. She named this one.So I looked it up on Amazon and loaded it on my kindle. I was on vacation at the time and I read it in less than 2 days. I once read somewhere that compassion is a muscle that gets stronger with use. Fr. G is what we are all called to be, humble, caring, loving, and able to let the face of Jesus shine through him when others look at him. He makes it seem so easly. His stories, sad as they are, are a celebration of humanity and all that is right with the world. To quote a phrase a friend of mine uses, I found the book "eye washing". Think about what he says " In Africa, they believe a person becomes a person through other people". I think that sometimes other people help return you you to yourself. the new American dream: what one person can do to make a difference for a lot of people. Making the world a better place. Choosing love over hate. Fr. Boyle is a hero. The website caption for Fr. Greg Boyle's organization reads: "Homeboy Industries assists at-risk and formerly gang-involved youth to become positive and contributing members of society through job placement, training and education." While apparently accurate, having read about his experiences first hand it seems like a bit of an understatement. Tattoos on the Heart contains the insights received by Fr. Boyle through his work in the gang capital of LA. Powerful almost seems an understatement as yo The website caption for Fr. Greg Boyle's organization reads: "Homeboy Industries assists at-risk and formerly gang-involved youth to become positive and contributing members of society through job placement, training and education." While apparently accurate, having read about his experiences first hand it seems like a bit of an understatement. Tattoos on the Heart contains the insights received by Fr. Boyle through his work in the gang capital of LA. Powerful almost seems an understatement as you read through the stories of this priest's life work with those who are commonly called "gang-bangers", for whom he uses the more casual and respect term "homies". This is just one of many ways Fr. Boyle reveals the humanity of people whom the news and popular culture tends to portray as thugs. It possesses much compassionate wisdom and a practical theology that can move anyone, whether they are religious or believe in God or not. The book overflows with its central message -- that we are made for joy and we are loved. Emphasizing the expansiveness and inclusiveness of God and the importance of standing with the marginalized and the outcast rather than merely standing for them (from a safe distance), this book is not short on inspiration nor education. Each vignette about a particular homie can readily serve as the basis for contemplation, a la lectio divina. 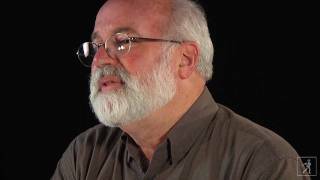 I heard Father Boyle interviewed on NPR a few months ago and was inspired by his work. He is a Jesuit priest who founded Homeboy Industries in LA in 1988. Homeboy Industries helps former gang members redirect their lives and become contributing members of their families and community by offering training, job skills and much more. Tattoos on the Heart is a collection of anecdotes of Father Boyle's work which are compassionate, inspirational, thought-provoking, funny, tragic and unforgettable. Hi I heard Father Boyle interviewed on NPR a few months ago and was inspired by his work. He is a Jesuit priest who founded Homeboy Industries in LA in 1988. Homeboy Industries helps former gang members redirect their lives and become contributing members of their families and community by offering training, job skills and much more. Tattoos on the Heart is a collection of anecdotes of Father Boyle's work which are compassionate, inspirational, thought-provoking, funny, tragic and unforgettable. His main message to readers is that these former gang members, outliers of society, need love and to know that they have personal worth and value. He also stresses the importance of kinship, "Kinship-not serving the other, but being one with the other. Jesus was not 'a man for others'; he was one with them". It is difficult to put into words how deeply moved I was by the message of this book. Gregory Boyle is a Catholic priest who ministers to the youth in Los Angeles probation camps and juvenile detention centers. In an effort to combat gang related violence, he founded Homeboy Industries - an organization that provides jobs and meaningful work for youth affected by gangs. What he has done -- and what the countless number of youth have done in response -- is as inspiring as any thing I know. His st It is difficult to put into words how deeply moved I was by the message of this book. Gregory Boyle is a Catholic priest who ministers to the youth in Los Angeles probation camps and juvenile detention centers. In an effort to combat gang related violence, he founded Homeboy Industries - an organization that provides jobs and meaningful work for youth affected by gangs. What he has done -- and what the countless number of youth have done in response -- is as inspiring as any thing I know. His stories are full of heartbreak, hope, sorrow, joy, unconsolable loss, and transformative consolation. Ultimately the book shows time and time again how the power of compassion can transform the life of another. By truly loving others free of conditions, they can discover the worth to their soul -- especially when they have never known it because so many people have never believed in them or have given up on them. There is boundless power in compassion and love - they transcends all other attributes and virtues - they are the keys to helping others realize that they matter, that their life has purpose, and that they are loved for who they are, not for what they do. This is a book I know I will read again. And I will probably read again that. I enjoyed this. It was very inspirational and I would definitely read this again. This falls into the autobiography genre, but it was so much more than just that. The author felt called to make difference in gang ridden communities in Los Angeles. He promoted positive and constructive changes and he worked his faith into this. I also liked that the author sounded like a normal person but one who had a powerful story to tell. Very warm and very fuzzy. So 5 stars. This is an amazing, inspirational, funny, sad, well-written book. Gregory Boyle is a Jesuit priest who founded Homeboy Industries to assist the most violent gang-ridden section of Los Angeles. The style of the book is very casual, as if you are sitting at a party with an expert story teller, who never runs out of real life anecdotes. He is a preacher, but never seems to be preaching. In fact, it is the best spiritual book I have read in years and made me wish I was still a believer. The author i This is an amazing, inspirational, funny, sad, well-written book. Gregory Boyle is a Jesuit priest who founded Homeboy Industries to assist the most violent gang-ridden section of Los Angeles. The style of the book is very casual, as if you are sitting at a party with an expert story teller, who never runs out of real life anecdotes. He is a preacher, but never seems to be preaching. In fact, it is the best spiritual book I have read in years and made me wish I was still a believer. The author is so humble and down to earth. He never frames anything in terms of what he has done for people in need, but he makes you want to join him in his mission because he does seem to be improving the world in a very dramatic way. At the same time, he is humorous, self-deprecatory and very human. He has won the California Peace Prize, but he should really get the Presidential Medal of Freedom. One of my favorite passages in the book is actually atypical of the book because it is not generally pedantic, but I guess all priests have to draw pithy conclusions they can use at Sunday mass. "Here is what we seek: a compassion that can stand in awe at what the poor have to carry rather than stand in judgment at how they carry it." That hit me between the eyes because I am always guilty of thinking that the bum on the street corner should not be begging for money, but rather he should go to a shelter and accept the charity of the organization in exchange for following their rules. And why, I ask, should I be judging that person at all? "G," Father Boyle, is a perfect contrast to Greg Mortenstern. Instead of bragging and inflating the success stories of his amazing organization, "Homeboy Industries," he tells personal stories and shares spiritual insights into what it has meant to him to serve and, eventually work alongside, an impoverished and gang-dominated public housing community in Boyle Heights, L.A.
Boyle is a strong writer and I really couldn't put this book down. I will probably buy a copy so I can (shamelessly) dog ear "G," Father Boyle, is a perfect contrast to Greg Mortenstern. Instead of bragging and inflating the success stories of his amazing organization, "Homeboy Industries," he tells personal stories and shares spiritual insights into what it has meant to him to serve and, eventually work alongside, an impoverished and gang-dominated public housing community in Boyle Heights, L.A.
Boyle is a strong writer and I really couldn't put this book down. I will probably buy a copy so I can (shamelessly) dog ear and underline his reflections on the transformative power of love and compassion. Listened on audio– I think it would've been five stars either way, but hearing Greg read his own words was intensely powerful. The kind of book everyone needs to read, but it especially resonated with me because of my work and my client population. I can't stop recommending this to everyone, and I certainly won't be able to stop thinking about it for a while to come! The title and picture on the cover made me think twice about reading this book, but I'm so glad I got past that because this book was amazing. Not only is Gregory Boyle an inspirational person, but he's also a gifted writer. I loved the insights he shared and his approach to life and to loving and serving individuals. Beautiful! The author did a lot of astounding work, but I don't agree with his message that humankind is essentially good. A powerful read, at turns heartbreaking and hilarious. A lot of beautiful stories about seeking the humanity of and living in community with people the world shuns. Absolutely wonderful! Inspired to see and share the vast, expansive, no-matter-what love and approval of the Father. The stories in this book were so touching. There were times I was crying and times I was laughing. Hope and compassion are really great words to use when talking about this book. There were so many stories, and while they were all touching they were presented in a way that seemed a bit jumpy to me. If the stories had flowed better I would have been much happier with this one. But it was still pretty good as it is. The language took a bit for me to get used to. Greg Boyle's language shocked me th The stories in this book were so touching. There were times I was crying and times I was laughing. Hope and compassion are really great words to use when talking about this book. The language took a bit for me to get used to. Greg Boyle's language shocked me the most. There were a few times that he used some swear words, and all I could think was this is a man of cloth.... But given the situations that he was in, and the people he was in those situations with the language was understandable. It just shocked me the first few times. The work that Greg Boyle has done working with the Homies is amazing. The stories he has gained in the last 20 years are a testament to his work. These stories range from sad, to touching, to happy. It was a bit of an emotional roller coaster reading this one, but I think it was well worth it. As Executive Director of Homeboy Industries and an acknowledged expert on gangs and intervention approaches, Fr. Boyle is an internationally renowned speaker. He has given commencement addresses at numerous universities, as well as spoken at conferences for teachers, social workers, criminal justice workers and others about the importance of adult attention, guidance and unconditional love in prev As Executive Director of Homeboy Industries and an acknowledged expert on gangs and intervention approaches, Fr. Boyle is an internationally renowned speaker. He has given commencement addresses at numerous universities, as well as spoken at conferences for teachers, social workers, criminal justice workers and others about the importance of adult attention, guidance and unconditional love in preventing youth from joining gangs. Fr. Greg and several “homies” were featured speakers at the White House Conference on Youth in 2005 at the personal invitation of Mrs. George Bush. In 1998 he was a member of the 10-person California delegation to President Clinton’s Summit on Children in Philadelphia. Fr. Greg is also a consultant to youth service and governmental agencies, policy-makers and employers. Fr. Boyle serves as a member of the National Gang Center Advisory Board (U.S. Department of Justice, Office of Juvenile Justice and Delinquency Prevention). He is also a member of the Advisory Board for the Loyola Law School Center for Juvenile Law and Policy in Los Angeles. Previously, he held an appointment to the California Commission on Juvenile Justice, Crime and Delinquency Prevention.